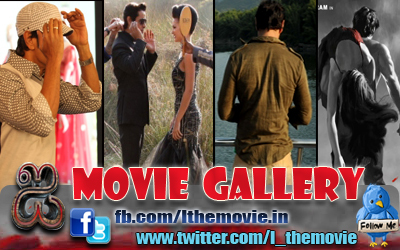 Home » Latest Buzz » From ‘who’s Vikram’ to ‘where’s Vikram’! From ‘who’s Vikram’ to ‘where’s Vikram’! South star Vikram’s in an elated mood these days. The actor’s just moved into his new house down South, but what has him really excited are the interesting scripts coming his way. Well, nothing new for Vikram really, but what’s different this time around is the fact that among the dozen or so scripts, several of them are from Bollywood too. “Yes, I am looking into several interesting projects at the moment. But I am in no rush to sign films here,” says the actor, whose performance in Raavan won him much accolades, even though the film failed to make a mark at the box-office. The film may not have worked, but it did make the inroads for Vikram into Bollywood. “Yes, it’s been quite a change. From ‘who’s Vikram’ to now ‘where’s Vikram’,” he smiles. Vikram’s now glad to have finally established an identity here. However, despite the offers here, the actor’s not considering a move to Mumbai. “Well, it feels great to be recognised and appreciated for good work, whether in Tollywood, Kollywood or Bollywood. Bollywood already has it’s own set of fantastic actors, just like we have our stars down South. So, until and unless I don’t come across something really interesting, I won’t be hunting for house or work here anytime soon!” he signs off with a smile.